Good morning this sunny Sunday! (at least, I woke up to the sun, a bit early actually) I am writing this right now, or for when this post is published: I just wrote this post. It's such a busy weekend. I have been working non stop, friday, saturday and in a bit I'm off to work again. But it is a fun thing to do! The ice cream is back in our shop again, which I really love. Plus the weather is really good this weekend! Well, a bit more about this outfit now. I went to shoot some photos with Janne again at this amazing hidden place in Nijmegen. It is sush a beautiful location to shoot outfit photos! I'm wearing my favourite polka dot shorts combined with a really soft Brandy Melville jumper. Such a comfy combi! And the denim jacket is a vintage/secondhand one, bought it a while at a vintage sale. I think I like these photographs/this outfit more without the denim jacket but I'm not sure. I also like it with the jacket, haha. And for a change: I'm wearing my old chelsea boots again! What do you think of this outfit? Do you like it more with, or without the denim jacket? 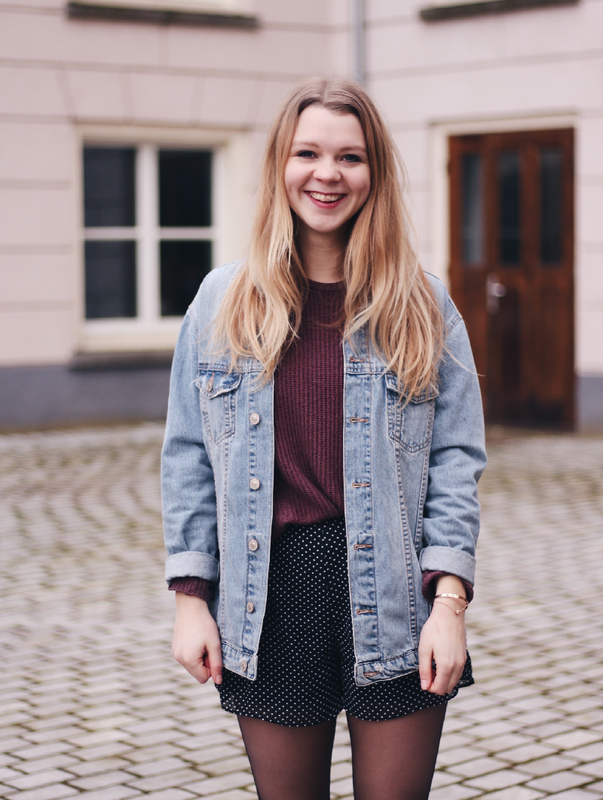 Wauw echt ontzettend leuke outfit deze! Wat een prachtige kleur trui. En hij ziet er echt uit om de hele dag in te chillen, zo fijn! Dit is zo'n leuk outfit! 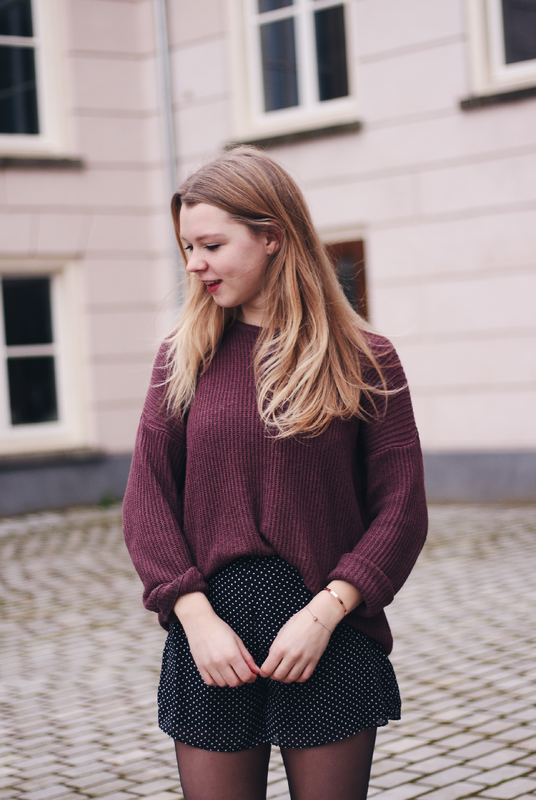 Leuke outfit! De kleur van je trui is heel tof :) Ik vind het met en zonder jasje allebei heel tof! 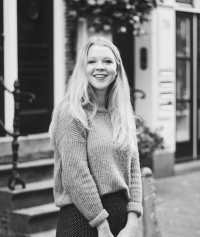 Ik vind de outfit zonder het jasje ook nèt ietjes leuker, omdat die trui gewoon zooooo mooi is!